It was an ordinary day in 2011, when I found myself watching a YouTube video of a gun owner making a semi-automatic rifle discharge bullets rapidly, as if it were an automatic weapon. My husband, a gun owner, watched firearms videos like this one. But I had never seen one. Intrigued, I sat down on the couch to absorb the imagery. In other words, he was bump firing his rifle. I’m a criminal justice researcher. At the time, a flurry of thoughts popped into my mind. Aren’t citizens forbidden to own automatic weapons? 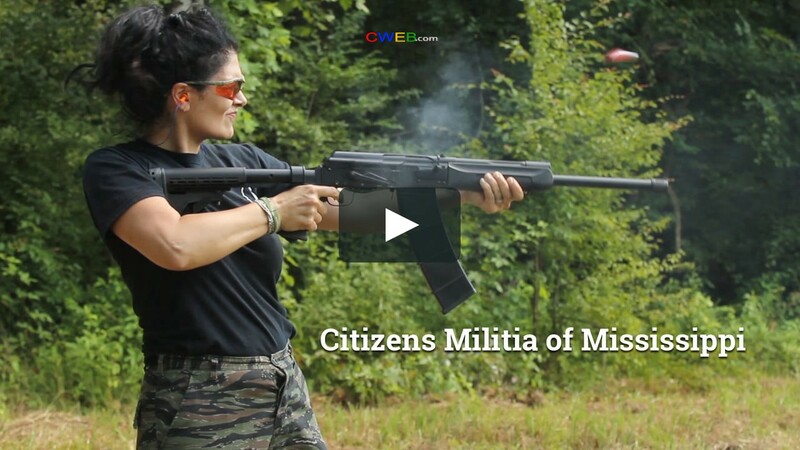 Is it legal to make a video of a semi-automatic rifle performing like an automatic firearm? What about the 1930’s machine gun ban – is there a YouTube loophole of some sort? This was 2011, seven years before a gunman at a country music festival in Las Vegas used a bump stock to make his shooting spree more effective and deadly, killing 58 people and injuring 851. Watching that initial video led me to spend the next five years exploring online gun videos and gun owner communities. It also led to a moderation in my views on gun-related issues – something I believe resulted from the understanding and empathy I gleaned from those videos. My exploration would become the book “Guns on the Internet: Online Gun Communities, First Amendment Protections, and the Search for Common Ground on Gun Control,” forthcoming in August 2018. That first video, and the many videos I would subsequently view, showed me how gun owners could legally share content that, in the case of bump stocks, could effectively render a particular gun control law moot. A gun enthusiast on how to bump fire without a bump stock. This realization led to the question – is it worth it to pass a law, as Florida recently did, banning the sale of bump stock devices, when people can just make and upload a how-to video of bump firing without the device? I felt like I had accidentally stumbled onto a secret that was hiding in plain sight. Recent data from the Pew Research Center illuminate the extent of gun owner use of the internet and social media. Thirty-five percent of gun owners responding to the Pew survey indicated that they often or sometimes visit websites focused on hunting, shooting sports or guns. Ten percent participate in gun forums online. Culture and its smaller subcultures comprise the values and behaviors that define a group of people. A related idea is homophily, that is, the desire to connect with others with similar characteristics, experiences and interests. Gun owners engage in this both in real life – for example, by attending gun shows, joining shooting clubs – as well as online. Gun owners join Facebook groups with words in the names like freedom, liberty, oath keepers and duck hunters. They also join Facebook groups devoted to survival skills, love of the outdoors and hunting and fishing. They post in the comment sections of gun-related blogs. These are just some of the ways that gun owner subculture flourishes online. A gun owner shares tactical advice on what to do if you ever encounter zombies. I’ve observed that gun-owning YouTubers have a lot of fun filming themselves and their friends shooting all kinds of things – targets, zombies and computers. I‘ve come to view firearms as part of the fabric of their owners’ lives, complementing other lifestyles such as rural living, hunting and camping. Previously, I had thought about guns mostly as something dangerous, unnecessary and likely to lead to a homicide or suicide in someone’s home. I developed some favorite videos and YouTubers. Having peered into a slice of these gun owners’ worlds, I felt a sense of familiarity despite not knowing any of them in person. If I felt a connection to particular YouTubers and videos, would others experience something similar? Recent research suggests that individuals can form attachments to media personalities whom they do not know in real life. If feelings of connectedness could be deliberately cultivated among gun control advocates and gun owners, might it be possible to parlay that into better understanding of the perspectives of those on the other side of the gun controversy? Could this lead to a productive conversation about gun rights and gun control in the U.S.? Some research suggests that it is possible to shift people’s opinions, even strongly held ones, and enhance empathy for others who hold very different opinions. Other scholarship has connected familiarity with reduced prejudice. So while a total opinion change isn’t likely when trying to bring opposing viewpoints closer, small movement on a seemingly intractable issue might be possible. Through the process of watching hundreds of videos made by and for gun owners, I find that my views on guns have shifted away from unquestioning support for gun control toward a more neutral, even gun-friendly, perspective. I’m also much more aware of what I don’t know, including the particulars of all things gun-related (parts, accessories). The deadlock between proponents of gun rights and gun control is frustrating. To that end, I conclude my book by proposing that both gun control and gun rights supporters watch 100 YouTube videos featuring content from the opposing camp. Watching their videos helped the author empathize with gun owners. Viewers should approach their watching with an open mind. They will see a slice of the other’s life in the context of their world. Here’s a hint for a “starter” video (for gun control supporters) to get the process underway. And for gun rights supporters, this. Would this video watching experience work? Take the challenge and find out.